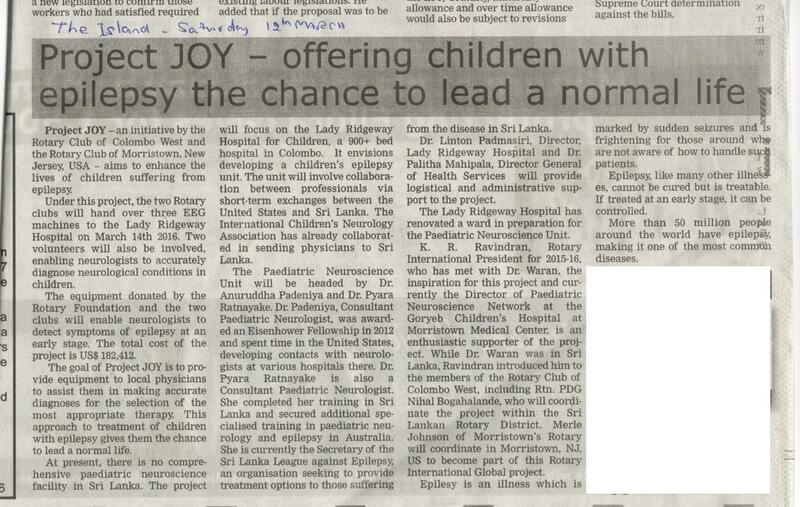 On Saturday, March 12, these articles ran in two local papers, The Island and Daily News, in Sri Lanka to announce the launching of Project JOY. 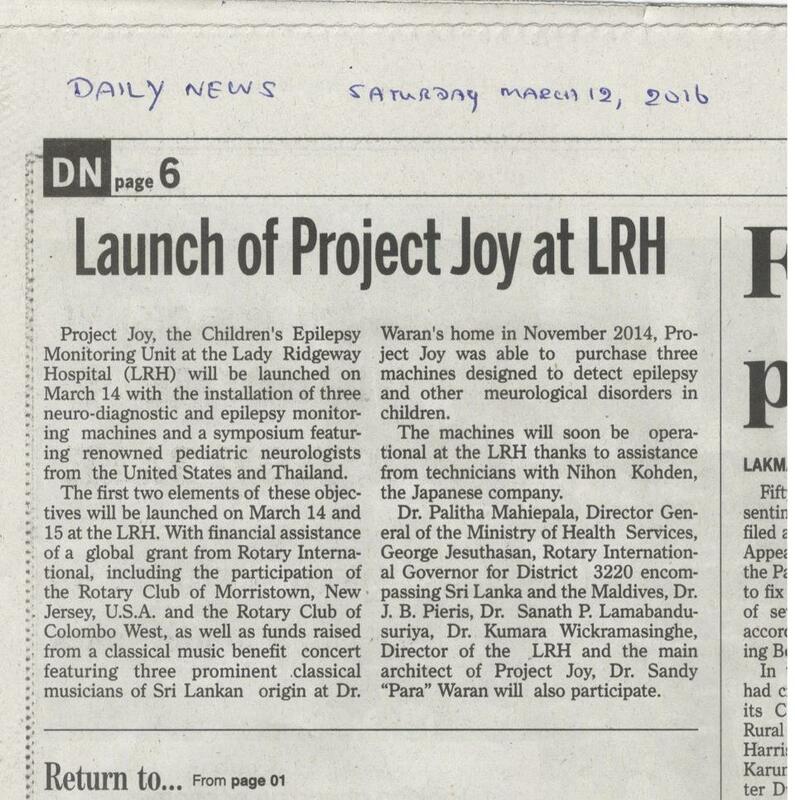 Project JOY was a joint effort between the Rotary Clubs of Morristown and Colombo West in Sri Lanka to provide three diagnostic machines to the 900 bed pediatric hospital to help diagnose children with epilepsy. A big thank you goes out to Merle Johnson who took the lead on this project and helped make it a huge success!